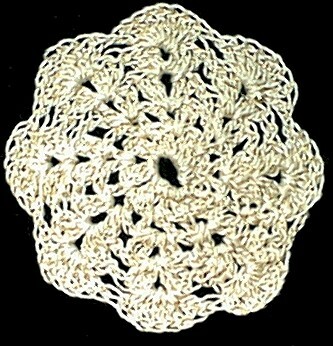 These shabby chic doilies are all hand crocheted by me. 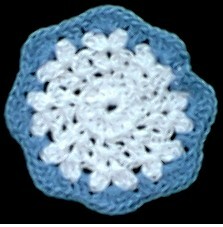 They have a beautiful snowflake design. 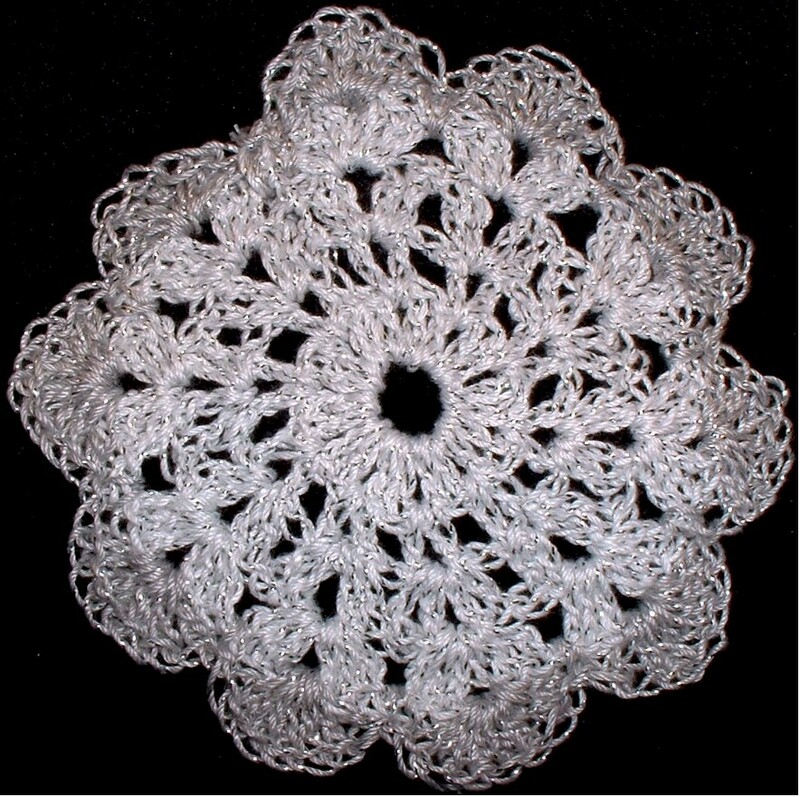 These shabby chic doilies come 4 to a box, and are beautifully gift boxed. 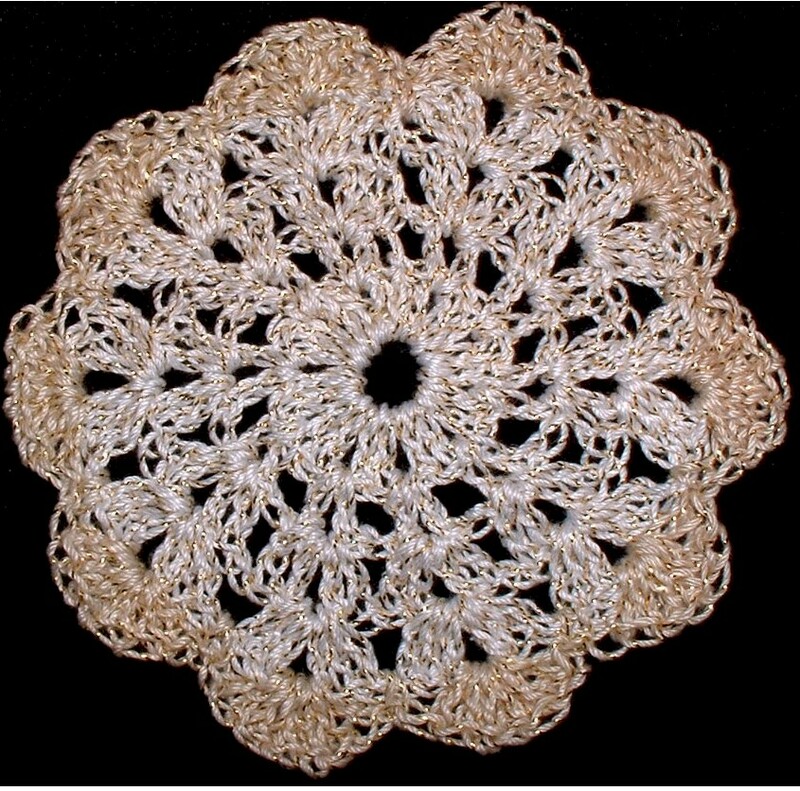 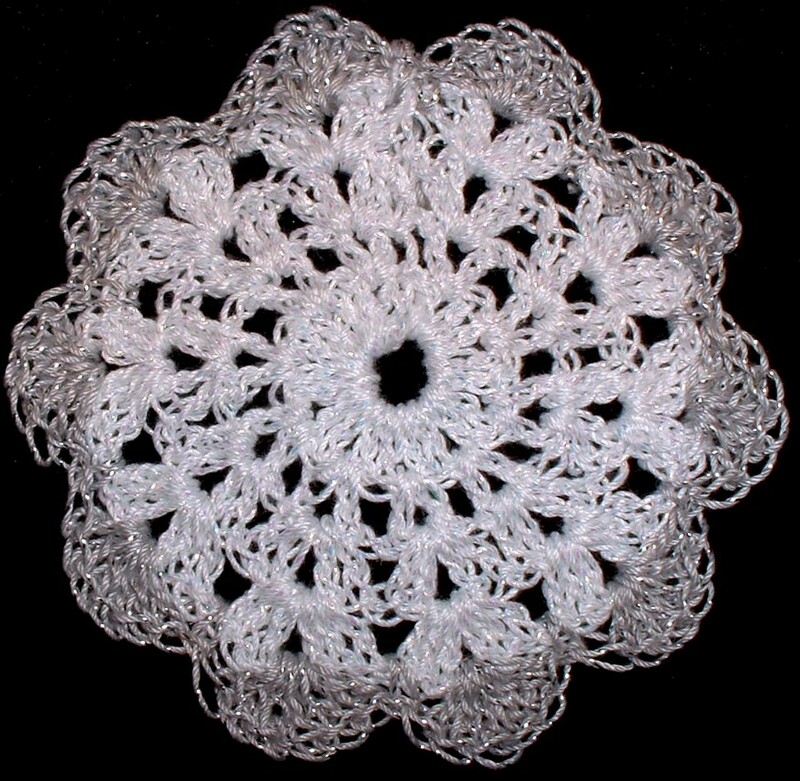 Each shabby chic doily is approximately 3.5 to 4 inches in diameter. 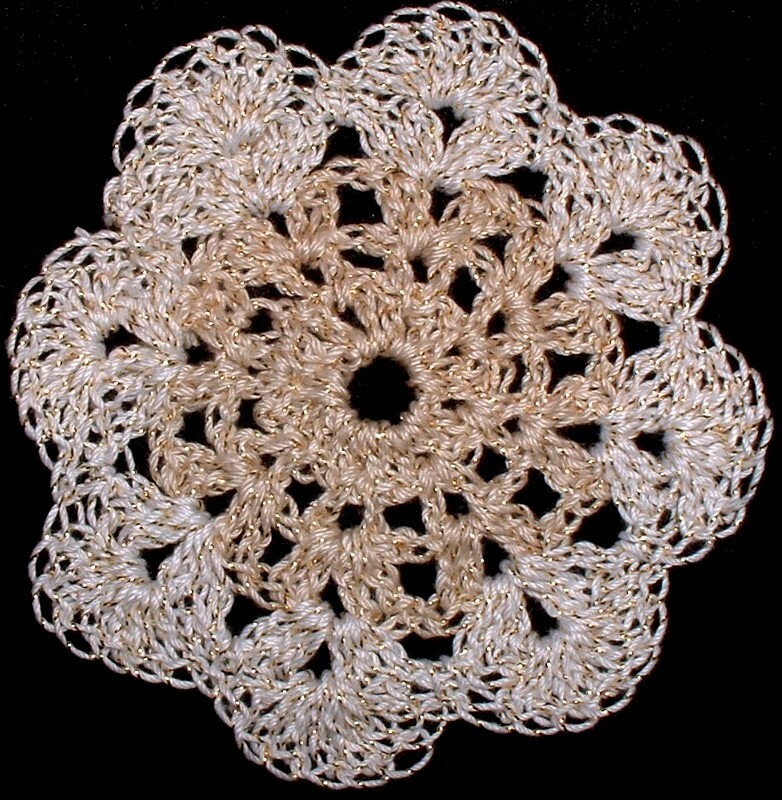 Larger sets of shabby chic doilies can be custom ordered, if needed. 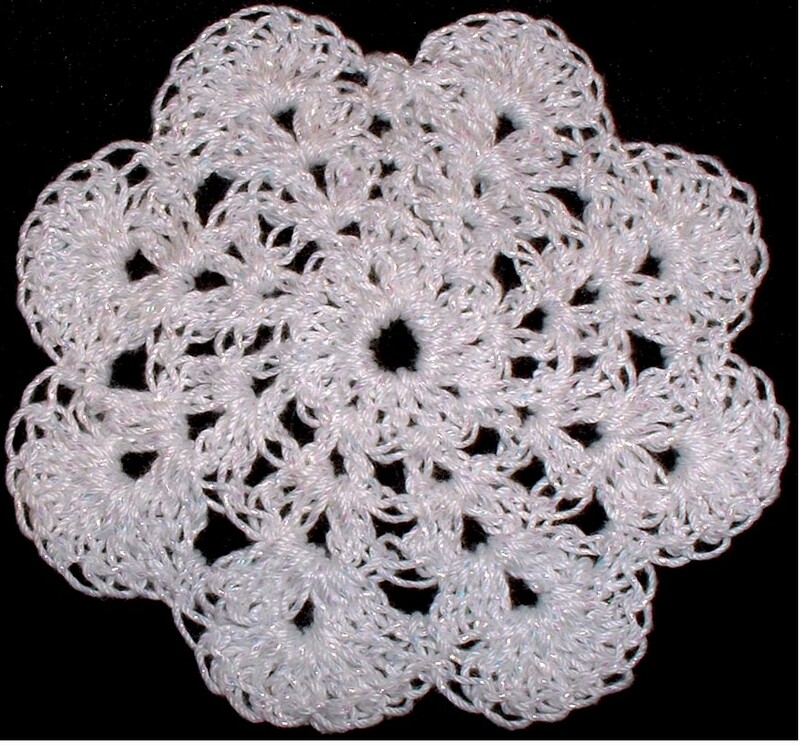 All my shabby chic doilies are hand washable. 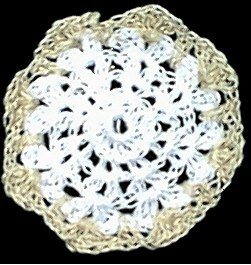 Visa, Mastercard, Paypal, and Money Order accepted. 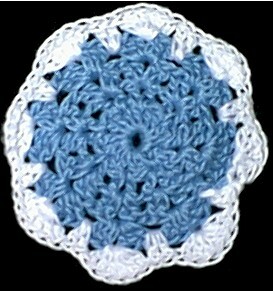 Delivery time is 1 to 3 weeks, depending on my orders. 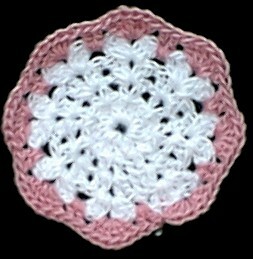 Email me if you need your order by a certain date, and I will work with you to meet that deadline. 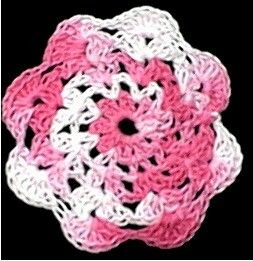 Please let me know if this is a gift, and I will include a hand written note card, at no extra charge. 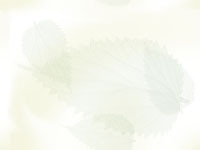 The Shipping Costs are listed below. 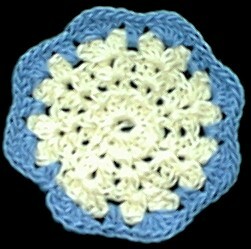 More Coaster colors available on the Lucite Coasters page. 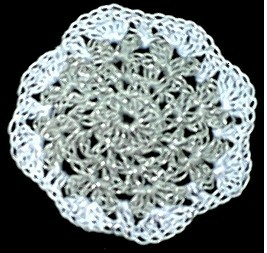 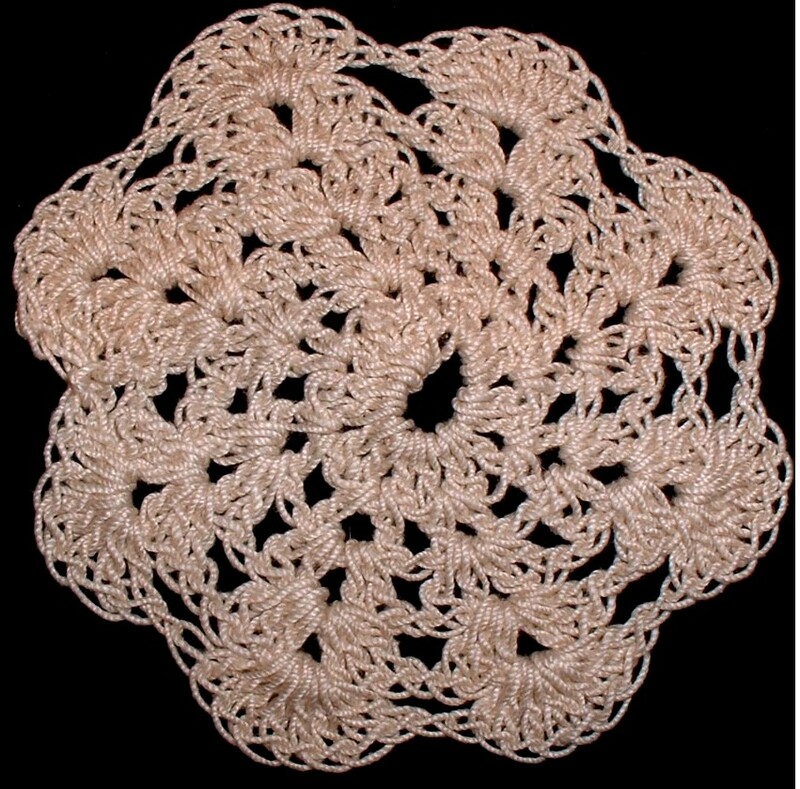 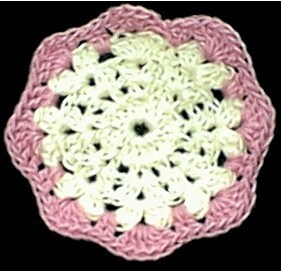 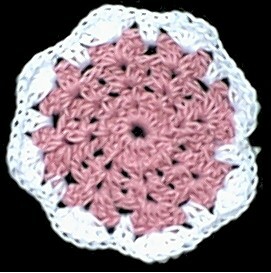 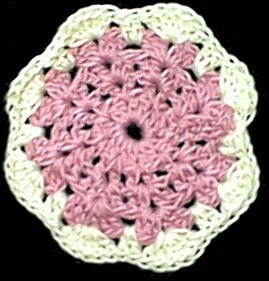 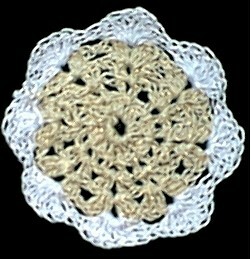 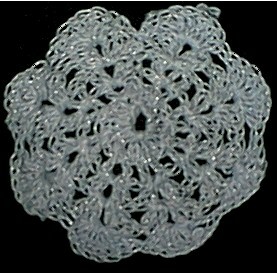 Doilies of any diameter can be crocheted to match your coasters. 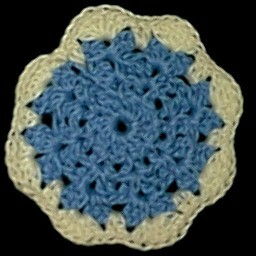 Send email to Frida with questions or comments about my crocheted coasters.